Christmas is the season to give, and rapper 2 Chainz really got in the festive spirit recently. 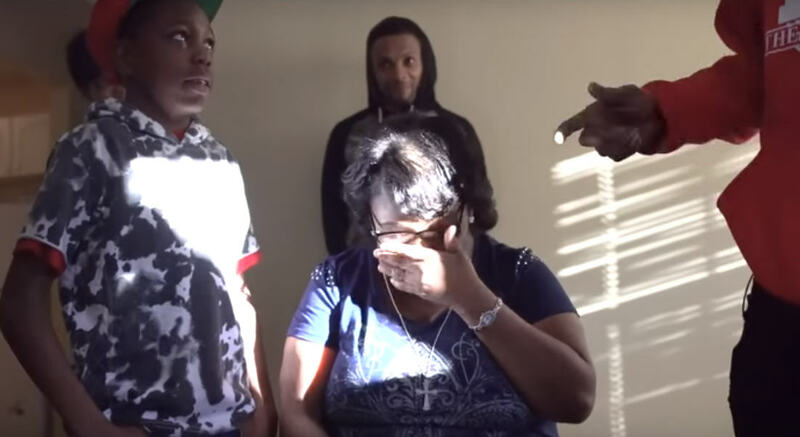 He spread some holiday cheer to a disabled army veteran and her family who were facing eviction, providing them with sofas and bedroom furniture, as well as agreeing to pay their rent for a whole year. 2 Chainz and his charity TRU Foundation found out that vet Dierdre Plater had recently undergone surgery and had been looking for a job for a year, CBS46 reported. The rapper surprised Dierdre and her son with the Christmas gift, using proceeds from his ‘Dabbin Santa Ugly Sweater‘ line to fund the charitable donation, saying it will also provide for more families during the holiday season. It’s hard to keep gas in the car, food in the house, and do everything by myself being a single parent. I am on a fixed income. I love to see stuff like this happen for other people, but I never thought it would happen to me.